On International Women's Day, March 8, travel back to the early 20th Century and uncover a forgotten piece of women's history. Based on a true story, ‘May’ from Wyldwood Arts has a unique take on the fight for women’s rights. We celebrate 100 years of the first women gaining the vote by meeting May Billinghurst, one of those who fought for it. May’s story of love, loss and hope will offer you insight into the claustrophobic Edwardian era and a reflection on women in present society. May Billinghurst, ‘the Crippled Suffragette’, played a key role in the women’s rights movement. Yet, imprisoned and silenced by her sexuality, she has been widely forgotten. 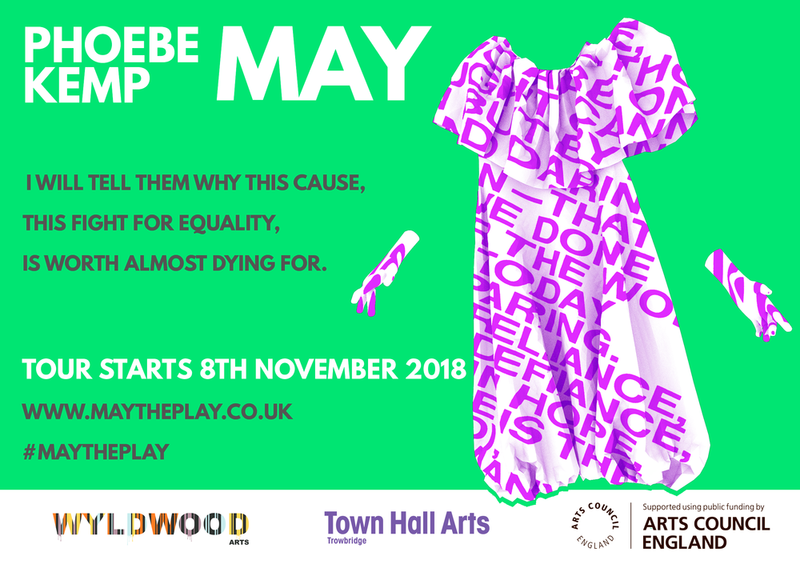 The play, written and performed by actress Phoebe Kemp, herself disabled, uses original letters and extracts between May and her family, Emmeline Pankhurst and other suffragettes. As well as looking in-depth at the constricts facing women alongside their role as wives and mothers, 'May' journeys into the unspoken nature of LGBTQI individuals, sexual repression and the restricted lives of those with disabilities. Today in a society, where women continue to fight for their voices to be heard, Kemp returns to her story and asks – how far have we come in 100 years?